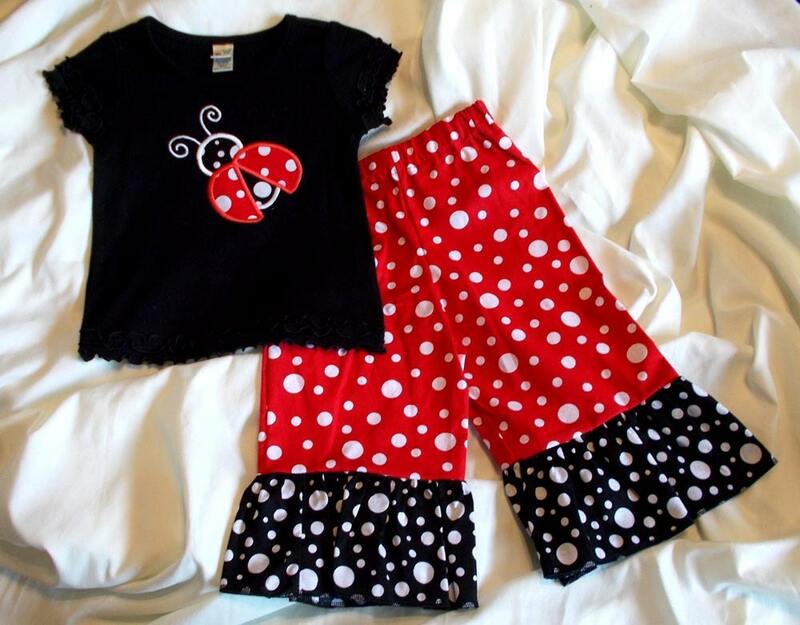 100% Cotton Black Girl's ruffled T-shirt with lady bug ladybug embroidered applique and matching red, black and white polka dot pants with polka dot ruffled hem. A sweet set sure to delight any little girl. Perfect for a ladybug birthday party!